Stevenson's vivid imagination impinged on everything he did. 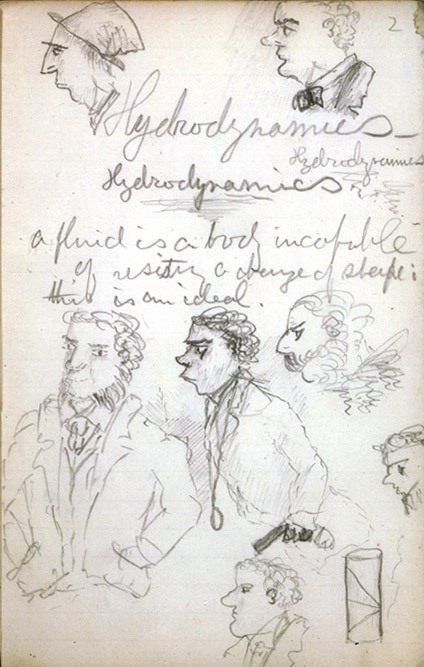 This page is from a notebook from his civil engineering lectures at Edinburgh University in 1869. It is covered with doodles which reveal an active mind and an acute visual sense.